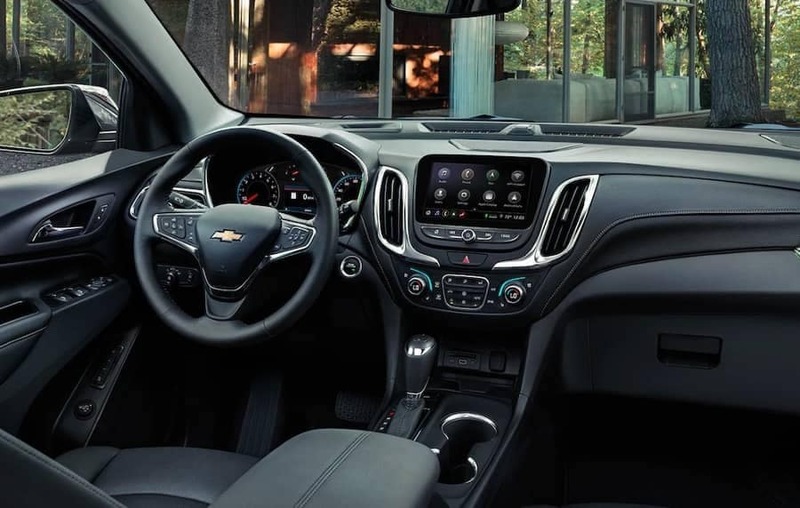 The 2019 Chevy Equinox is a popular compact crossover that attracts drivers in with its agile, efficient drive and cutting-edge safety features, and those who take a test drive will find the Chevrolet Equinox interior just as impressive. The new Chevy Equinox is spacious enough to stretch out and relax whether you’re sat in the driver’s seat or relaxing in the back, but accommodating passenger appointments never cut into cargo space. Even with all seats occupied, you’ll find up to a generous 29.9 cubic feet behind the second-row seats, and the handy 60/40-split folding rear seats fold flat to create an even more impressive 63.5 cubic feet. There’s even an available hands-free liftgate that makes cargo area access as easy as moving your foot beneath the rear bumper. Whether keeping your smartphone at full charge or providing a strong, reliable connection to the internet, you’ll always be in touch and fully connected inside the Chevy Equinox. Much like the larger Chevy Traverse, the Chevy Equinox provides an interior that perfectly hits the spot in terms of everything from cargo space to standard features. You’ll find the latest models at Chevrolet of Naperville, so contact us today to find out more.